Thailand attracts many young professionals, particularly to Bangkok. Others work as teachers all around the country, some doing online business or some form of short or long term visa. Some operate small businesses with their Thai spouse. 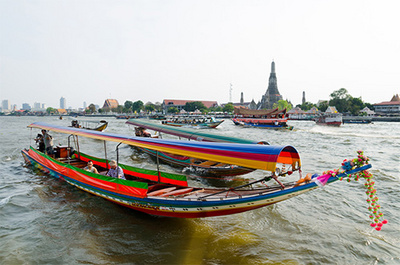 In addition, Thailand has always been a place of interest for the traveller within the SE Asian region, where many like to stay medium to long term, sight-seeing, travelling, and ‘just hanging out’. Retirement in Thailand is part of a global trend of people relocating from high income countries to lower income countries. There are large numbers of expatriates living all around the country, concentrated within the tourist precincts. In addition, clusters of wealthy retirees live in apartments and villas they have purchased or leased, across the tourist precincts of Phuket, Pattaya, Rayong, and Chiang Mai, etc. There is also a high incidence of expatriates married to local women, residing in areas like Issan in the north-east of Thailand. Many single men choose places like Pattaya to reside for the excitement of living an entertainment enclave. The nationalities of expatriates are just as diverse with Europeans, Russians, Americans, Australians, New Zealanders, Singaporeans, Malaysians, Japanese, and even Chinese. Various estimates put the expatriate population in Thailand somewhere between 500,000 and One million. Formal estimates tend to be on the lower side, as they tend not to include those overstaying illegally in Thailand on expired visas. An article in The Independent estimates that there are even 10,000 homeless expatriates living in Thailand. Thai authorities have become weary of foreigners or ‘farangs’, as evidenced in the tightening of entry and visa regulations over the last two years. Immigration is turning away people from the borders who they suspect are living and/or working in Thailand on short term visas. New regulations concerning persons who overstay their visas are coming into force, banning them from re-entering Thailand for between one and ten years. For many the dream of living in Thailand has turned sour, where many settlement and social problems have brought abrupt endings their Thai lifestyle. The writer spoke with an informed member of the Thai Immigration Police who wanted to remain anonymous. He was able to shed some light on the reasons why Thai authorities are cracking down upon, and trying to put some control over the large numbers of people trying to live long-term in Thailand. Thailand is an alcoholic’s haven. Expatriates drink unchecked, to the point where over drinking can become a problem. This sometimes within the tourist enclaves leads to bar fights, which cause damage and problems to local businesses. There are also longer term problems of depression, anxiety, and sickness that are being left unchecked with retirees in Thailand. Many expatriates marry local girls and settle in places like Issan where there is an embedded drinking culture. Boredom often leads to excess drinking in these remote villages, as expatriates find it very difficult to settle into the local culture. Many expatriates living in this region have alcohol issues, which escape assistance and treatment. Unfortunately there are no programs available to solve the expatriate drinking problem in Thailand. This problem has not been formally identified in any health studies, and Thai authorities have no programs or resources to tackle this issue. Likewise foreign embassies have no responsibilities over these types of issues concerning their nationals, so this problem will most likely continue to grow and fester over time. Many suicides occur because of depression. Some have suspicious circumstances where foul play from a spouse or lover may be involved, although murders tend to be rare. There are also the stories of those falling off balconies, where speculation about contract style murders is common in social media. In addition, with the common demographic of retirees being over fifty, so many arrive in Thailand not in the best of health and die here. British figures indicate that there were 389 British deaths alone in Thailand in 2013. According to statistics collated by the website “Farang Deaths”, 25% of foreign deaths in Thailand occur from road accidents, 20% from drowning, and 12% through other accidental reasons. One of the biggest issues is the lack of training and emergency accident treatment resources available. Very few people are trained in CPR and other methods which can save lives in accident situations. From the Thai point of view as summed up by my informant, many deaths occur to people with little or no financial resources and/or next of kin. Under resourced Thai Police and other authorities have the thankless task of dealing with all these cases, which often occurs under heavy criticism. As my informant said, “We didn’t cause these deaths, but in the end get blamed for them”. This leads to crime. Foreigners are operating fraud schemes, scams, passport and credit card fraud schemes all over Thailand. “Foreigners do the crimes and Thailand gets the bad reputation for it”, said my informant. Many foreigners run bars through proxy owners without the right visas. These establishmentsare sometimes a front for other activities, which are crimes on the books of Thai Law. These ventures have not followed Thai investment laws, and are flaunting the system in Thailand. This is particularly rampant within tourist precincts. My informant told me that occasionally directives are given to crackdown of particular types of activities from time to time. My informant when on to say that “It’s our job to carry out these directives ….and it’s the job of the top to allocate our scarce crime fighting resources. We have many areas to focus upon, and when we stop focusing on one specific area, the police are accused of being inconsistent and corrupt”. There is a massive screening problem on long term visa applications. Although police reports may be required when foreigners apply for visas at embassies within their home countries, those that apply for them within Thailand, are rarely required to provide police checks. This loophole within the visa system allows many foreigners to reside in Thailand without any proper screening of previous criminal activities. Another issue cited by my informant is that many farang are living hand to mouth in Thailand. This includes many on retirement visas. As a consequence many are unable and/or unwilling to seek regular medical check-ups and attention. Not all have medical or even accident insurance, and risk large medical bills if they are unfortunate enough to have an accident or get sick. There are no provisions in retirement visa arrangements for ‘retirees’ to have access to medical facilities locals have access to, at the nominal rates Thais pay. When we touched upon visa issues, my informant became somewhat emotional and concerned. My informant said “while many have followed the correct procedures and acquired the correct visas for long stay residency, there are also many who are dodging this to stay in Thailand, by abusing the system”. Tourist visas and visa exceptions it was explained are not intended for long staying foreigners within the Kingdom. Those who have the correct visas will not have any difficulty staying in Thailand. My informant saw those who abused the visa system as those who showed no “respect for the legal system of Thailand”. This point led onto another gripe which brought out more emotion. “Thai culture is very accommodating. However the things many farang do here can be considered ignorant and even rude”. My informant gave the example of loud music often played by neighbours during the day or night. This generally presents little or no problem for a Thai, but some farang make complaints about these issues which are culturally acceptable to us. My informant said that many farangs expect the same cultural standards here in Thailand as they have within their home countries. This sometimes makes things very dangerous such as on the road, where farang drivers, ‘dangerously’ impose their own standards on Thai roads. This makes them the dangerous ones, when they don’t follow the general traffic flows here. Many farang never make any attempt to learn the Thai language, come and live in Thailand, building barriers of ‘us and them’. The onus is on farang settling here is integrating and assimilating, at least to some extent in Thailand. This is expected of Thais living in their countries. Many farangs are condescending towards locals, often seeing them as a bunch of ignorant and lazy parasites. At the same time they expect Thais to love them. Farangs often have a superiority complex seeing Thais falter according to their set European standards. Thus they complain when things are not on the same par as their country. Thais don’t necessarily hate farangs. However in the more remote areas of the country not subject to the tourist trails, locals still believe in the media portrayal of farangs as wealthy people, hence the term ‘walking ATM’. Consequently, there will always be a small proportion of people who will seek to take advantage. It’s only when farangs move to and settle in an area that locals can see them close up, they make their own judgements upon observed behaviour. So in some parts of Issan, there is distain for farang drunks who behave badly. From the Thai point of view farang have brought out new social problems to the country. Many marriages are unstable because of farang husbands trying to control their wives, who have generally been independent people before their marriages. Thai women generally run the household and are enterprising, although some will abuse their freedom, which causes conflict. Many farang had alcohol and/or depression problems before moving to Thailand, where the problem has worsened because it remains unchecked by anybody. Thai authorities and the respective embassies of foreign nationals have no jurisdiction or interest to get into these problems faced by a number of expatriates. There is also very little incentive for the respective authorities to do anything about them. Unlike the Malaysia: a second home program, there are no provisions, programs, or privileges that come with Thai retirement visas that may assist with health issues. There are still loopholes in the police report provisions in long term visa applications, where potential criminals are not always identified during visa application processing. Social problems caused by foreign expatriates are going to increase, particularly as expatriate numbers increase over the coming years, unless measures are put in place by both Thai and foreign governments to assist foreign residents in their stay in Thailand. This runs the risk of the growth of some form of backlash against farang in the future, if nothing is done about these issues. Unfortunately these issues are not on any government agenda, and will continue to be ignored until that backlash arises.